1984 - The school was established in 1984 and was first known as School No. 35. The first principal was Mr P. G. Naidoo who served from 1984 to 1985. Approximately 1000 pupils were registered on the first day ? 16 January 1984. On 17 March ?84 a meeting of parents was held to elect the first Education Committee. On 27th March the parents voted overwhelmingly for the school to be named Sunford Primary School. 1985 - Introduction of Pre-school class which was run by the Women's Circle. Drum Majorettes was also introduced in the school that year. 1986 - Mr A. Ramdass was appointed principal and served until 1991. 1992 - Saw the appointment of the first female principal ? Mrs U.E. Packery. Construction of awning in the assemble area to provide shade for the pupils was done in that year. 1997 - Dr N. Dela acted as Principal and was formally appointed in 1998. She was boarded in 2000. 2000 - Mrs R. Naicker the Deputy Principal acted as principal from 2000 to 2001. She resigned and emigrated to the United Kingdom. 2002 - Dr S. Pillay, DP from Mahatma Primary, was appointed as Principal. 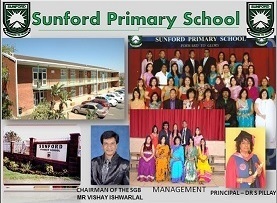 A Nursery School which was supervised and run by our school was established. The school frontage was given a new look by the construction of a face brick wall which is adorned by a huge stainless steel template with the school name and motto. Renovation of the whole school: Repairs to doors and window panes, painting, murals and drawing on the Administration and JP block, planting of more trees and shrubs, installation of fans in all classrooms, tiling of pupils toilets, etc. 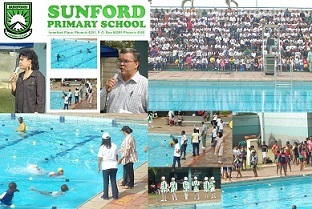 Introduced Swimming - Our school Hosted our 1st Swimming Gala at the Stanmore Pool under the banner of Pisces Swimming Academy. 2011 - Upgraded Sportsfield - Built massive pavilion for learners to be seated during breaks and sporting events. 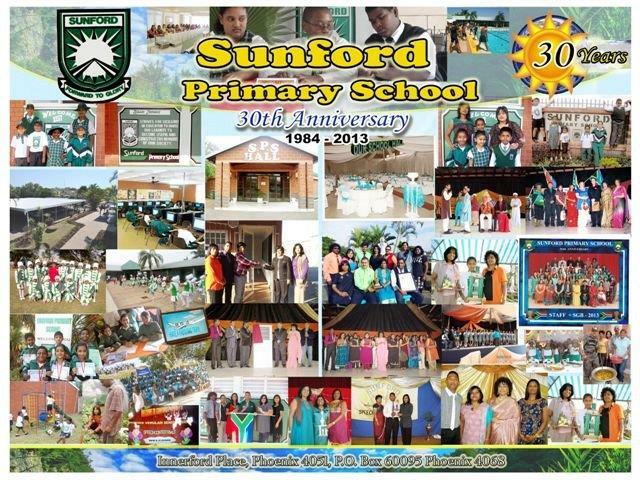 2012 & 2013 - Built two new classrooms- Celebrated 30th Anniversary Of School. 2014 - Built new Counselling Room/Completed construction of Outdoor Arena. 2015 - New floor board games for learners. Launch of Adventure Club and Achiever Club. Launch of custom made school blazers. The school has a fully equipped computer centre which was established in 2003 with 43 computers linked to the internet. The centre has been upgraded with 40 new dual core computers in 2009 all linked to the internet. 2 computers are installed in the Resource Centre for use by Educators and 3 installed in the HOD?s offices. The school embarked on an ambitious project on building a school hall. A vigorous fundraising campaign was initiated on a yearly basis which saw the construction of the steel structure in 2004 and the different stages of building followed in the preceding years as funds became available. The hall was completed in February 2009 and the school conducted a special prayer ceremony with religious leaders from the different sectors of the community being invited. The official opening of the hall was held in March 2009. The school initiated and hosts the Annual Phoenix/Verulam Speech Contest. Learners from Grade R to Grade 7 participate in this competition. Approximately 75 schools are invited to participate in this competition. Initiated and Co-ordinates the Phoenix & Verulam Primary Schools? Debating League with participation of schools from Phoenix, Verulam and Tongaat. Commence the school year with a Staff/SGB Development Workshop at conference centres to confirm school year plan and to motivate and inspire staff and SGB members. Conduct quarterly development programmes on identified target areas. 1985 - Introduction of Pre-school class which was run by the Women?s Circle. Drum Majorettes was also introduced in the school that year.